Pear shape tanzanite and diamond ring by United Color Gems. We often come across a gemstone that inspires us to learn more about its origins and history, as we search out jewelry designs that feature it. Today’s blog spotlights the alternative birthstone for a month other than this one, December. We’re referring to tanzanite. Zoisite had been around more than a century and a half before this rare blue variety was found in 1967. Trace amounts of vanadium, mixed with extreme heat, cause the blue color – which ranges from pale blue to intense ultramarine with violet undertones. Due to pleochroism—an optical phenomenon in which a substance displays different colors when seen from different angles—tanzanite must be cut properly to highlight the more attractive blue and violet hues, and deemphasize the undesirable brown tones. The majority of tanzanite on the market today is heat treated to minimize the brown colors found naturally and to enhance the blue shades that can rival sapphire. 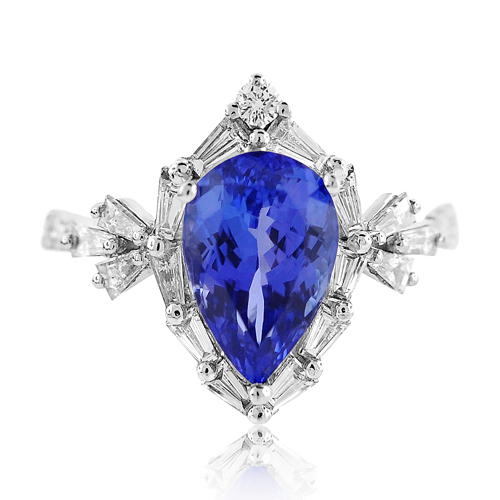 Tanzanite is still only found on a few square miles of land in Tanzania, near majestic Mount Kilimanjaro. Its price and availability are directly tied to mines in this region. Between its deep blue color and its limited supply, tanzanite is treasured by many—whether you happen to be born in December or not! 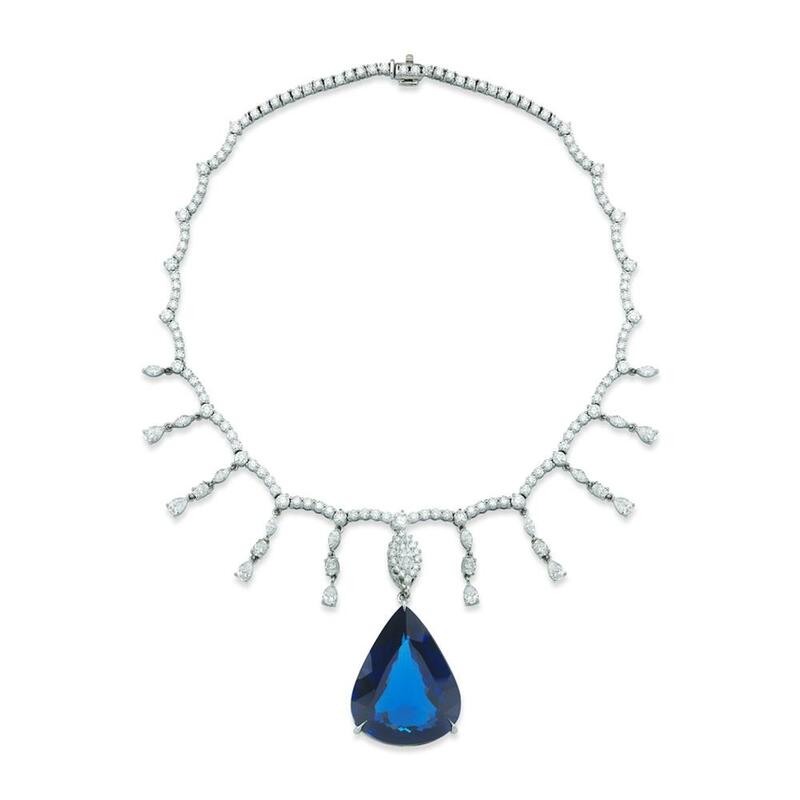 A 78ct tanzanite pendant by TAKAT. 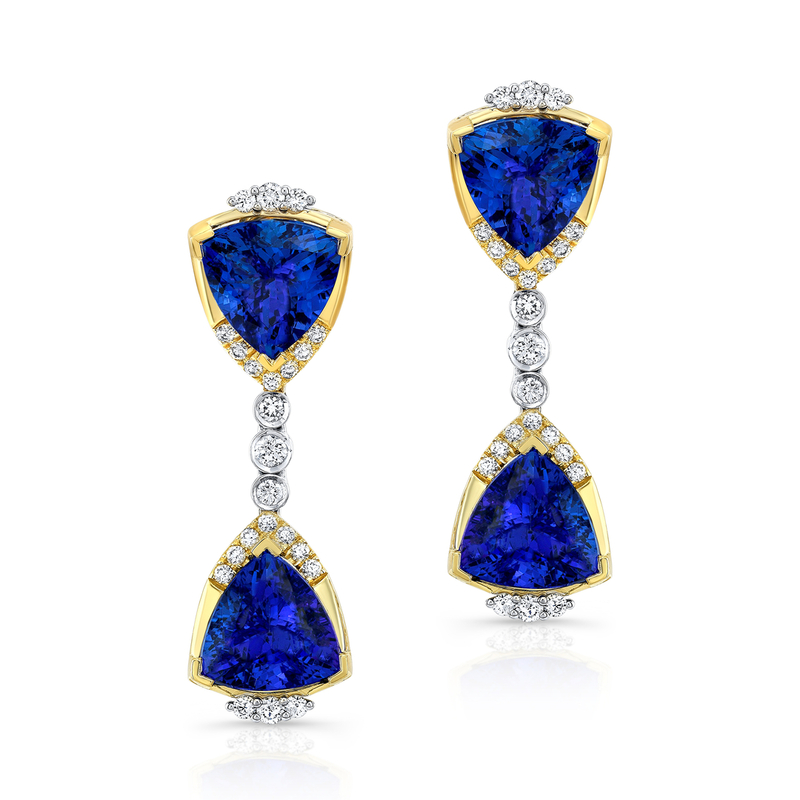 “Ohrid” tanzanite and diamond earrings by Yael Designs. 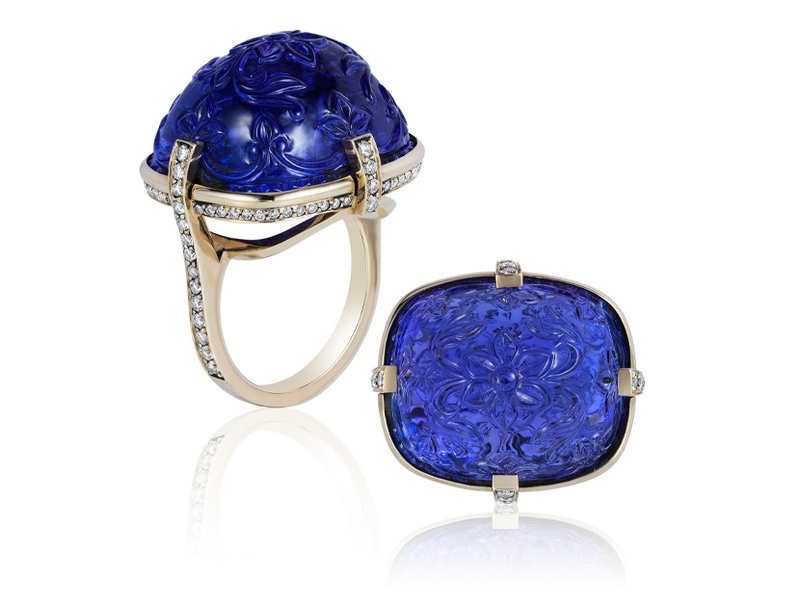 Tanzanite carved ring by Goshwara. 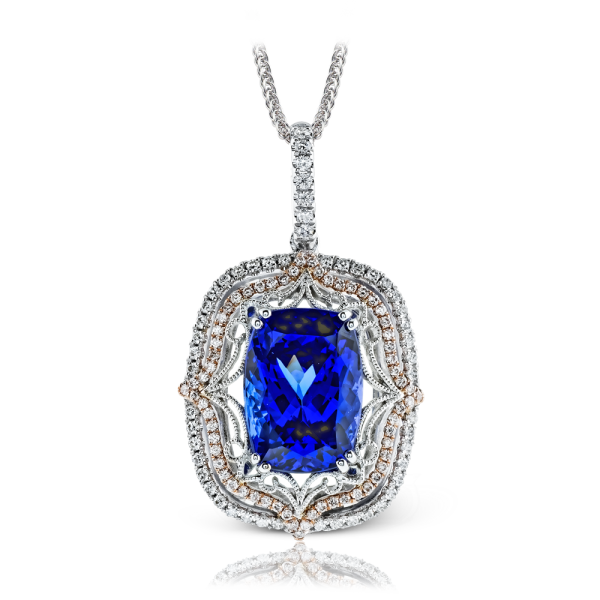 White and rose gold pendant by Simon G. Jewelry featuring tanzanite. 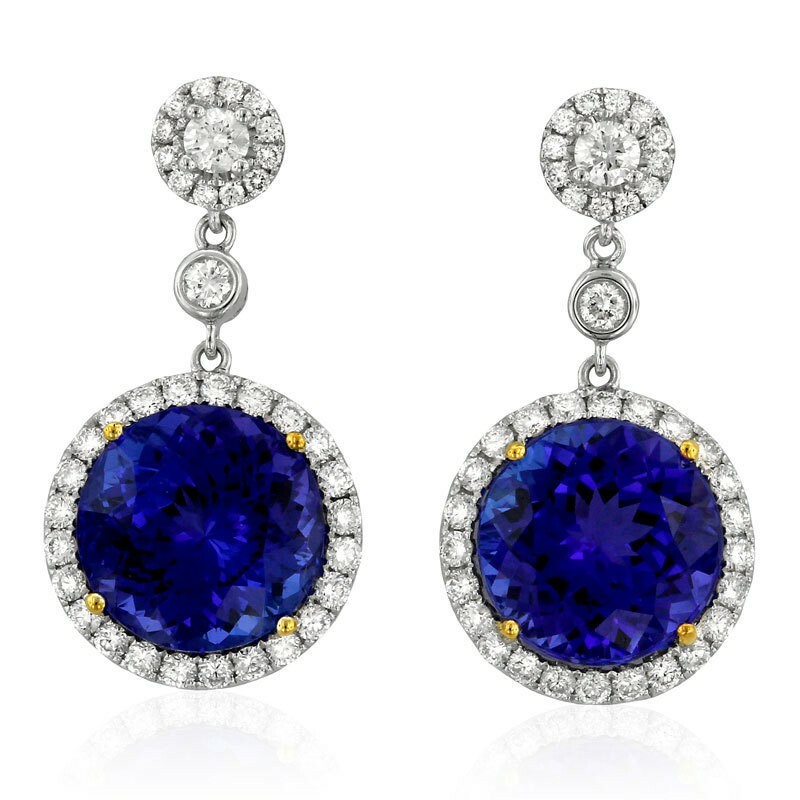 Trillion-cut tanzanite and diamond earrings by AG Gems. 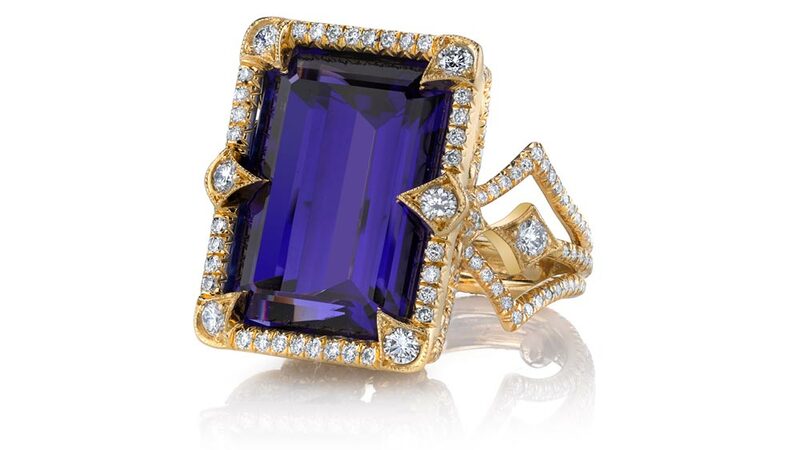 The “Coco Ring” by Erica Courtney features tanzanite accented with diamonds. If you’re drawn to the eye-catching blue, violet, and purple hues of tanzanite, contact an AGS credentialed jeweler near you to find a design that best suits you! ← We’re an AGS Jeweler!